Shifting weather patterns, global warming and rising sea levels are impacts of climate change, he said, and extending his nation’s condolences and solidarity to those affected, emphasized that resources, cooperation and collaboration of the international community will be required to help rebuild and build back better. “The events of the last months in the Caribbean once more remind us all that small island developing States remain at the forefront of the impact of climate change,” Moses said. Yet, in light of their re-categorization based on out-dated formulae of gross domestic product (GDP) per capita, Caribbean countries will not qualify for aid and development assistance. 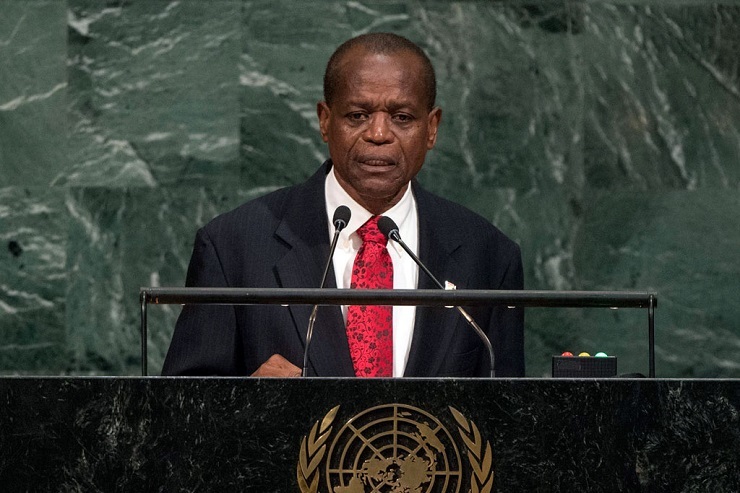 “I join my Caribbean colleagues in calling for a multidimensional approach that takes into consideration real national needs and priorities, as well as these extraordinary circumstances to provide access to development assistance, aid and debt relief, as the Caribbean region embarks on the arduous task of recovery, rehabilitation and reconstruction together,” Moses stressed. Noting that oceans cover three-quarters of the earth’s surface and contain over 95 per cent of its water, he called “indisputable” the critical importance of its conservation. 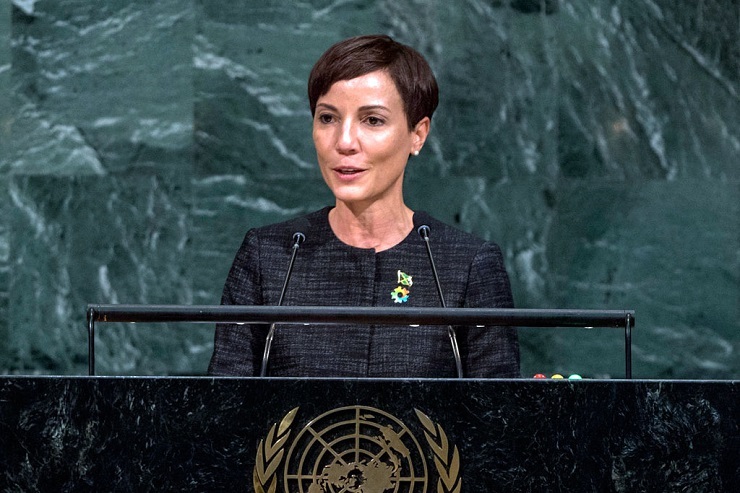 After expressing her country’s condolences and support for the Caribbean nations affected by the recent national disasters, Jamaica’s Minister for Foreign Affairs and Foreign Trade, Kamina Johnson Smith told the Assembly that for her region, climate change is an existential issue that requires urgent and effective action. She pointed out that the region’s catastrophic events have diminished its ability to strengthen resilience, adaptation and mitigation. Noting that limited resources are dwarfed by the huge sums required for recovery and reconstruction measures, she called on the UN to establish a mechanism to provide support and compensation to vulnerable countries affected by natural disasters. In recognition of the vulnerabilities of small island developing states and the attendant complexities of their status as middle-income countries, Jamaica supported calls for a climate change vulnerability index to provide a standardized method for characterizing vulnerability to the adverse effects of climate change. “This would enable international financial institutions and bilateral donors, to better channel financial and technical resources, towards countries most susceptible to loss and damage from climate change,” she said. 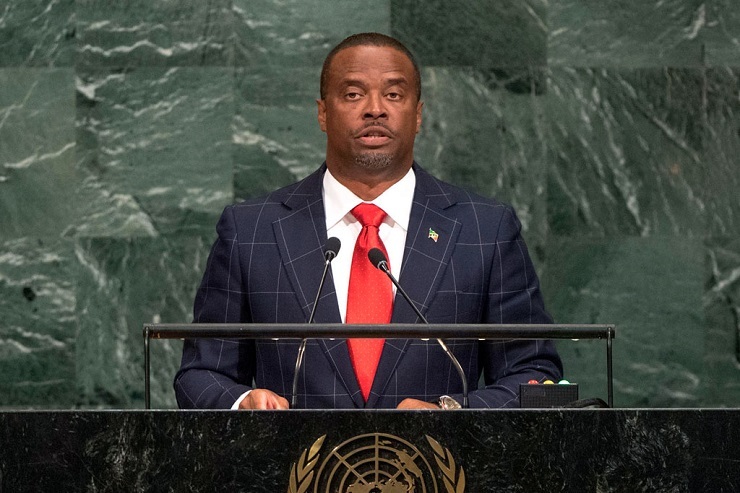 Also taking the podium, Mark Brantley, Minister of Foreign Affairs in St Kitts and Nevis, spoke in depth about ensuring a sustainable planet – offering thoughts and prayers for those impacted by the three hurricanes in the Caribbean and the two recent earthquakes in Mexico. He highlighted the various countries and territories that suffered devastation, noting unimaginable destruction in a wide swathe of the Caribbean. Lives have been lost; homes and infrastructure destroyed; economies reduced to tatters; and years of development wiped out. And, Brantley pointed out, “hurricane season for 2017 is not over yet”. He condemned the “sterile analysis” of GDP per capita that puts the island states in middle and high income countries, locking them out of accessing developmental assistance or affordable financing. 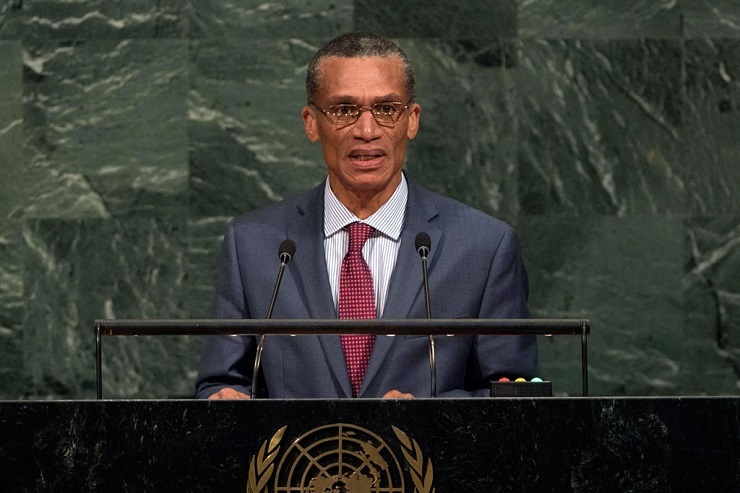 “It is a travesty and a tragedy for the world community to witness such destruction caused by forces entirely outside the control of Caribbean nations and then refuse to allow those nations access to the necessary resources to rebuild,” he said, demanding that a vulnerability index be developed as part of the matrix for accessing developmental assistance. Brantley advocated for treating these phenomena not as natural disasters but as the man-made disasters they are, appealing for a reduction in greenhouse gas emissions and all other actions that aggravate the effects of climate change. “We cannot continue to abuse our Planet and expect to remain unscathed,” he emphasized. Also speaking on Saturday, Grenada’s Minister for Foreign Affairs Elvin Nimrod underscored that based on recent activities in the Atlantic, “we just cannot dispute that the climate is changing”. “For those that question the veracity of this science, the cluster of extreme weather events over the last few weeks ought to suffice in sounding the alarm,” he said, stressing that such events disproportionately affect the most vulnerable and advocating that special attention to be paid to women, children, elderly and disabled. 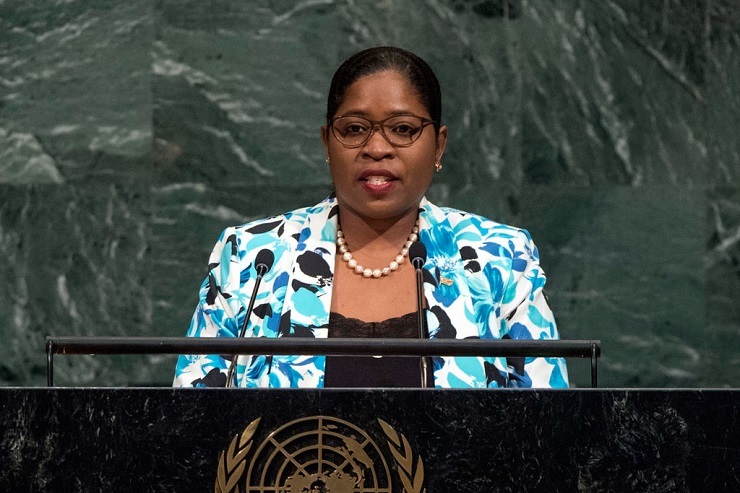 She also joined others expressing concern that Caribbean nations are being graduated into middle income country status, with a zero option to obtain concessional loans opening them up to foreseeable natural disasters. “I add my voice to the lamentation regarding the fact that the vulnerability of these countries should be taken into account when classifications are applied,” Pollack-Beighle said.